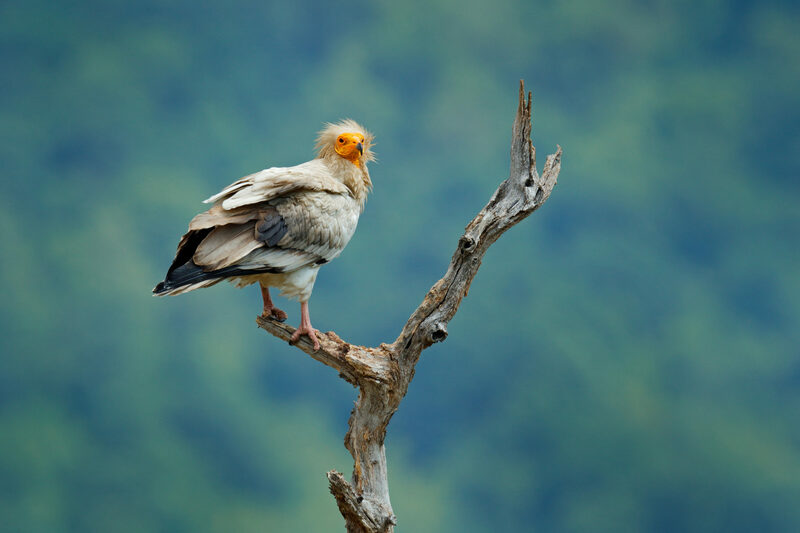 The Egyptian vulture is one of the few bird species to use tools, using pebbles to hammer open eggs as large as an ostrich’s. It is celebrated in the folklore of many cultures, having been admired throughout history for its intelligence, striking yellow face and white plumage. The ancient Egyptians worshipped it as a symbol of the goddess Isis and immortalised its silhouette as a hieroglyph in their writing. But the sacred bird of the Pharaohs now faces extinction. 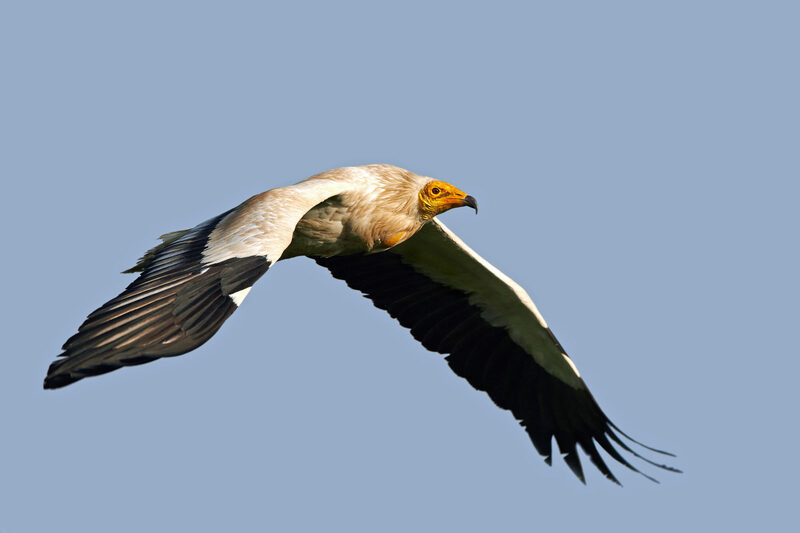 The Egyptian vulture is Europe’s only long-distance migratory vulture. Flying up to 640 km per day, it can travel 5000 km when migrating between its European breeding sites and its wintering grounds at the southern edge of the Sahara. On this epic journey across three continents, the Egyptian vulture meets one danger after another. Those that escape being electrocuted by powerlines or poisoned by lethal farming chemicals may still fall victim to illegal shooting. The European population alone has fallen by up to 50% in the last 50 years, and the Balkan population has decreased by 80% in the last 30 years. Illegal wildlife trafficking is also a big problem. 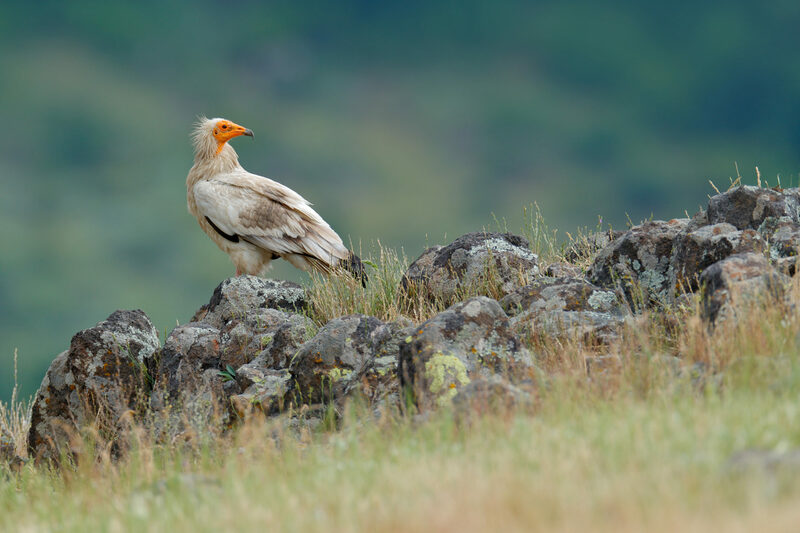 In the Balkans – where only 70 pairs of Egyptian vultures remain – young chicks and eggs are stolen from some of the most important breeding sites on the African-Eurasian flyway. Older birds are illegally poached and stuffed as ‘trophies’ for sale on the Western European black market. 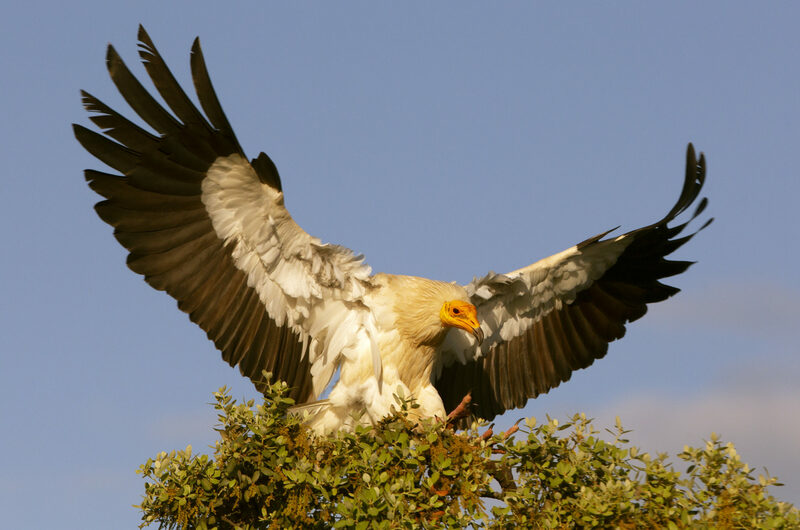 Our partner BSPB works tirelessly to end the illegal killing of birds in Bulgaria and has spearheaded efforts in the region to combat wildlife trafficking of Egyptian vultures. It is currently leading an ambitious project, ‘Egyptian vulture – New LIFE’, spanning 14 countries along its migratory flyway. In Bulgaria and the Balkans, BSPB and its partners will focus on creating ‘Vulture Safe Zones’ by clearing areas of poisoned baits and ensuring the availability of safe food. BSPB, together with Green Balkans, has also launched a much-needed breeding program to strengthen local population numbers before time runs out for these magnificent vultures. BirdLife International Partner, BSPB, is one of the leading environmental NGOs for the protection of wild birds and their habitats in the Balkans. Help us to help them stop the killing here and along the flyways. Stichting BirdLife Europe and BirdLife International gratefully acknowledge financial support from the MAVA Foundation, the EU LIFE programme, the European Commission and Vogelbescherming Nederland (BirdLife Netherlands). All content and opinions expressed on these pages are solely those of Stichting BirdLife Europe. 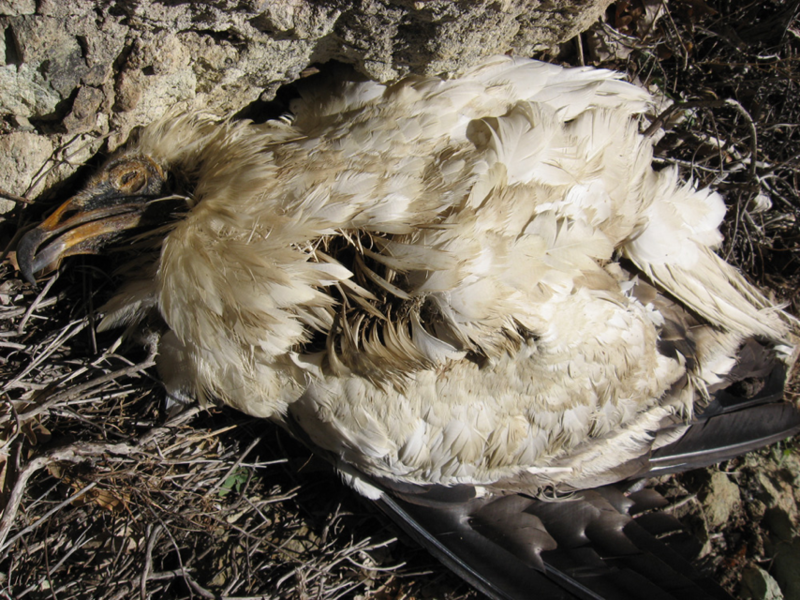 "Flight for Survival" is partially funded by the LIFE Against Bird Crime project. More information is available here. “Flight for Survival” is a campaign created by BirdLife Europe and Central Asia to raise awareness about the illegal killing of birds in Italy, Croatia, Cyprus, Greece, Egypt, Lebanon, Bulgaria and Hungary, and their conservation activities to fight this. The species storylines for this campaign are heavily inspired by the information available on the migration habits of the selected birds.